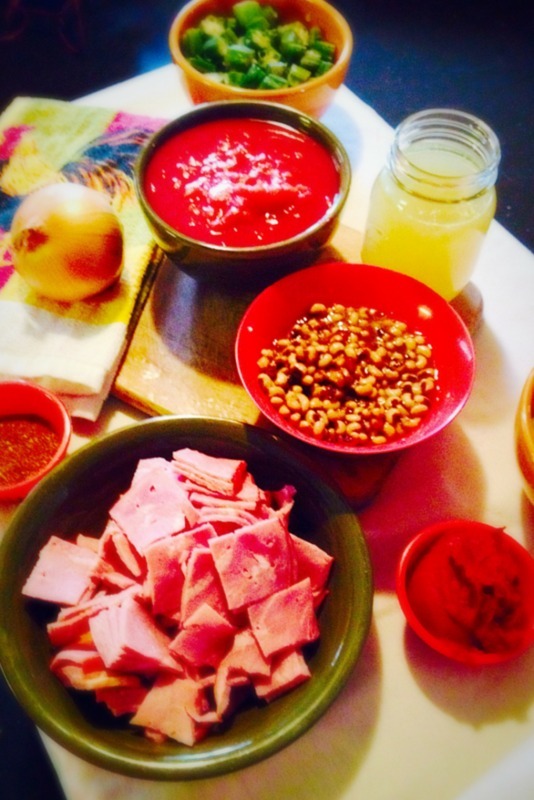 Special thanks to Miranda Holman of Grace and Gravy with a side of life for providing this Southern Ham Gumbo recipe with us. As a little girl, I can remember my momma cookin up a big ole steamy pot of goodness to take the nip out of a cold winter’s night. I guess that tradition carried on to me, because I find it so rewarding to create a great southern meal for my family. Gumbo is one of those dishes you either love or hate. Well, that’s what I used to think anyway. My family despises shrimp. No matter how big or how small, how fried or how boiled, shrimp is just not a food that we enjoy. I am assuming this is the reason why Gumbo has never been a meal that I loved to cook. As I was coming up with new recipes to create, I kept thinking about Gumbo, and I thought, why can’t I create a southern style that my family would enjoy? I started compiling a list of all our favorite southern foods. Of course, that list included tators, black eyed peas, okra and ham. 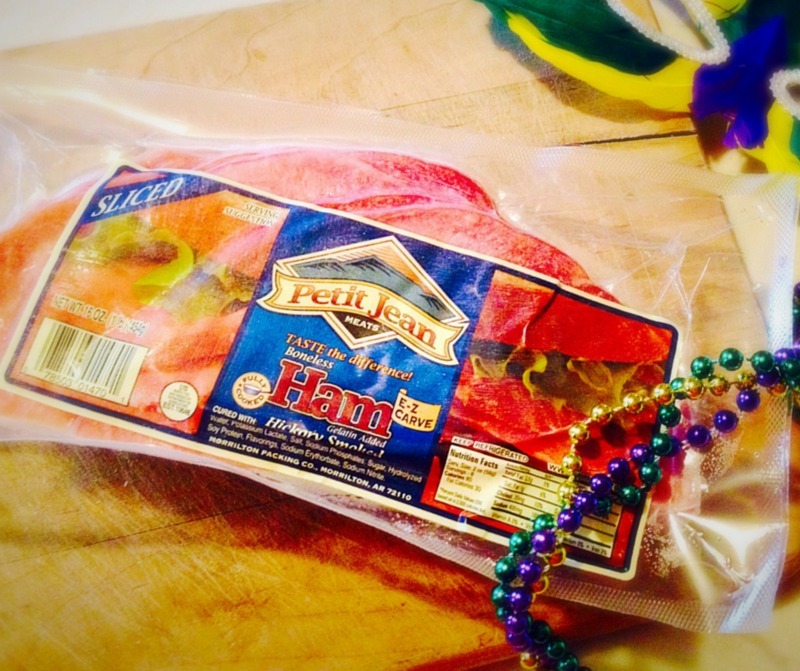 With those ingredients l came up with the idea to create “Southern Ham Gumbo” using Petit Jean E-Z Carve Ham. The result was , A perfect combination of when The South meets Cajun Spice! My family now loves Gumbo! As long as it’s Southern Style anyway! 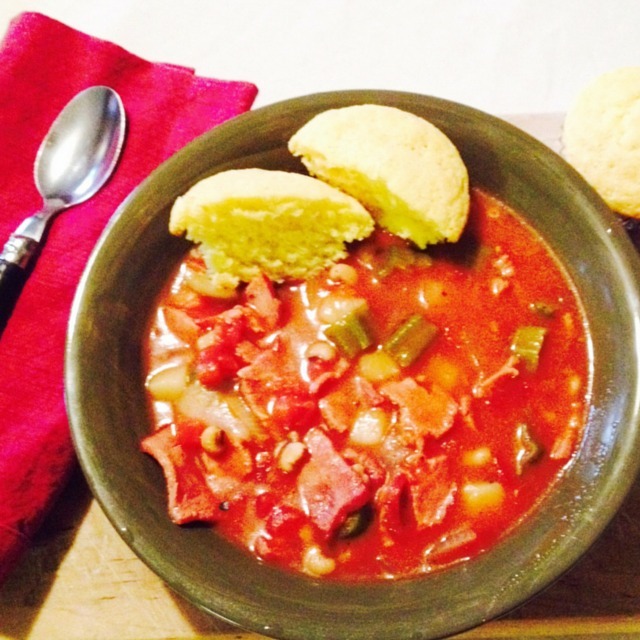 If this “Southern Ham Gumbo” don’t warm you up on a cold night, I’m not sure anything will! Author: Miranda Holman | Grace and Gravy with a side of life! In a large Soup Pan, whisk together Chicken Stock and Flour on low heat until you have a smooth mixture. Dice Petit Jean E-Z Carve Ham into 1 inch pieces and add to Chicken Stock and Flour mixture. Add Black Eyed Peas, Okra, Potatoes, and Tomatoes to pan. Turn up heat to medium and continue stirring slowly until you come to a rolling boil. Turn heat back to low and stir in Tomato Paste and Cajun Seasoning Mix. Simmer on low for appx 45 minutes-1 hour. Goes well with warm Corn Muffins.